Music is much more than the notes and sounds that stimulate our brains in so many ways. One of the most important aspects of music is imagination, and it is a crucial ingredient in both performers and listeners. 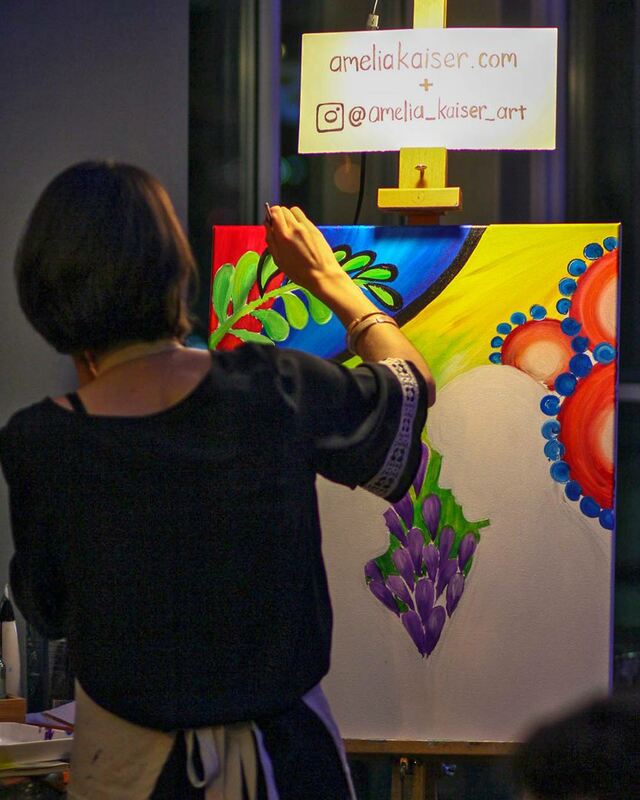 With imagination, a performer can take a simple melody and shape it in various ways, lending expression to different emotions and feelings. I am convinced that all of us have heard the words, “I like music because it is relaxing” or, “I love to relax at home listening to classical music.” Many of us have said those precise words at some point in our lives — and, yes, classical music can be relaxing if listeners choose to make it that way. But what happens when we open our ears and let imagination take over? I guarantee that such active listening can present a much different experience. 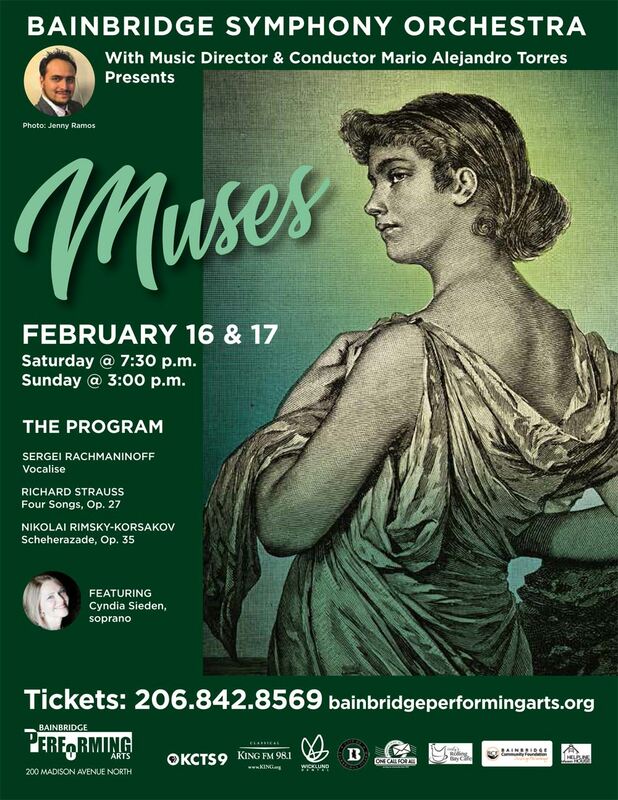 Our February program, “Muses,” will inspire listeners to wander and enjoy the vast sea of their imagination. Rachmaninoff is one of those composers who best know how to stir our emotions with a simple and delicate melody. At least that is how his music can be perceived by our ears. However, nothing in Rachmaninoff’s music is simple; there is a tasteful complexity in his harmony that is so elaborate that is very pleasant to the ear. This is true for “Vocalise,” the last song of his “14 Romances, Op. 34” for voice and piano, a piece that the composer himself arranged for orchestra. Now, here is a chance to try our imagination. If we just merely listen, this could be a truly “relaxing” piece. Nonetheless, if we get really attentive and let our imagination free, this piece is not as “relaxing” as it appears. On the contrary, we could find strong emotions that will make us lean in from the edge of our seats. What if we make a little experiment with this piece, eh? When listening to “Vocalise,” try to set your mind on one of two things: a beloved one, someone you love so much that your heart cannot take any more; or a landscape, home town, or any specific place that your imagination leads you. Richard Strauss composed a set of four beautiful songs for voice and piano as a wedding gift to his bride. The lyrics are extracted from poems by three different writers: Karl Henckell, Heinrich Hart and John Henry Mackay. When I was preparing these songs for rehearsals, I couldn’t help but wonder the many thoughts Strauss had when reading these poems and setting them to music, presumably thinking, “This is just perfect for Pauline.” The great composer surely had a great figure next to him — his love, his wife, his inspiration, Pauline was truly Strauss’ muse. Maestro Mario Alejandro Torres leads the BSO in a concert that is sure to rouse the imagination. Rachmaninoff’s beautiful and lovely “Vocalise” sets the initial tone for the concert. 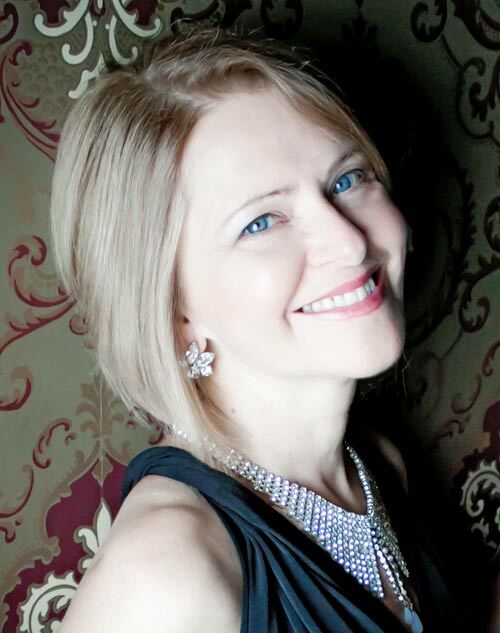 Then, the acclaimed soprano Cyndia Sieden will delight with Strauss’ “Four Songs, Op. 27” — songs that were written as a wedding gift for his beloved bride, soprano Pauline de Ahna. In closing, the musicians will give free reign to their creative muse and immerse in the extraordinary tales of Rimsky-Korsakov’s “Scheherazade,” with live painting by artist Amelia Kaiser. Tickets: $21 for adults; $18 for seniors, students, military and teachers; free admission for each youth when accompanied by a paying adult. 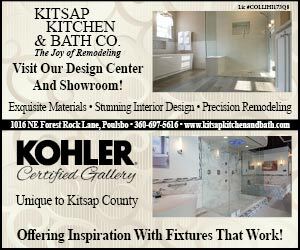 Call (206) 842-8569 or visit bainbridgeperformingarts.org. “Scheherazade”! What a wonderful piece by the great orchestrator Nicolas Rimsky-Korsakov. Every time I study this work, I am amazed by its uniqueness. Despite not being a programmatic work (at least the composer didn’t intend it that way), “Scheherazade” is full of brilliant motives and musical details that give this work a great narrative. This work is very close to my heart, as it is one of the first classical pieces I was exposed to when I was a kid, but for sure it was the first one to have a powerful impact in my life as a musician. This piece made my youthful mind more attentive to what I brought to the equation in my perception of the music, and it motivated me to let my imagination be free and have a more vivid musical experience. Mario Alejandro Torres joined the Bainbridge Symphony Orchestra in July 2018 as director and conductor after serving as guest conductor. 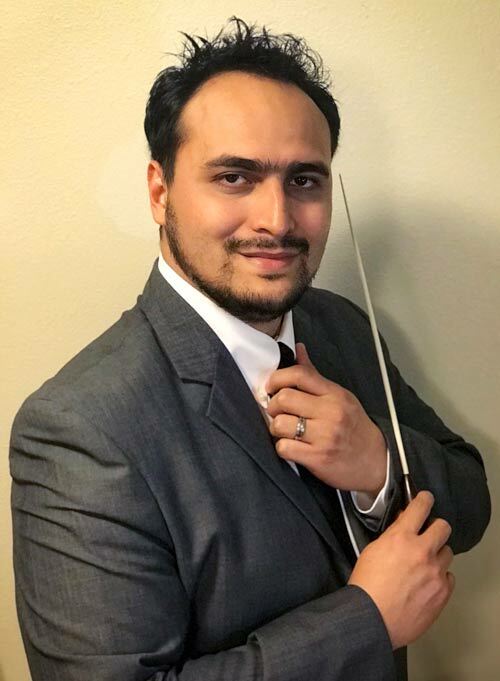 A conductor, teacher and performer native to San Pedro Sula, Honduras, Torres previously served as music director for Poulsbo Community Orchestra and was a conducting fellow with the Seattle Symphony, in addition to conducting many performances in Seattle and outside the United States. In addition to holding bachelor’s and master’s music degrees, he has been pursuing a doctorate in orchestral conducting at the University of Washington.